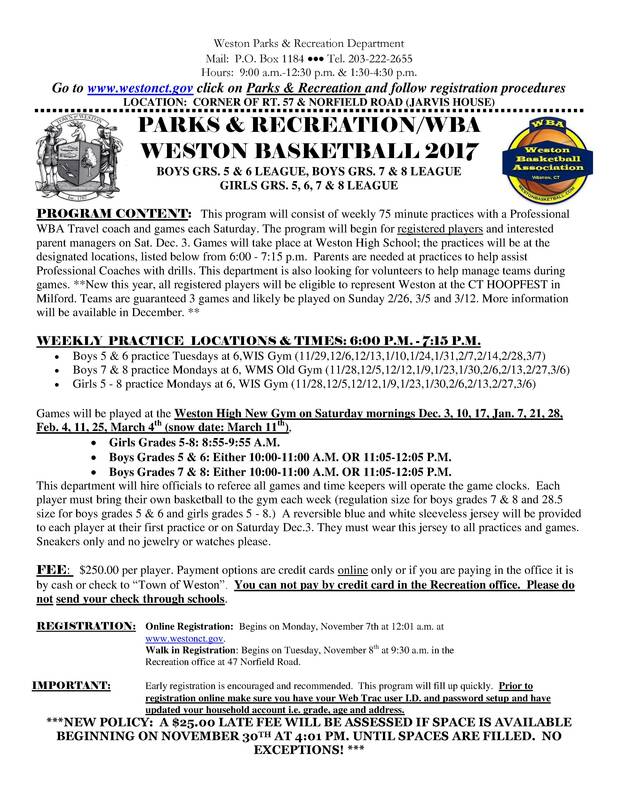 The WBA has partnered with Weston Parks & Recreation to create a new and improved Rec basketball offering for Grades 5-8. There will be 2 programs: Boys Grades 5-6 and Boys Grades 7-8. Each will practice one weekday evening and play scrimmage games on Saturday mornings per the schedule below. 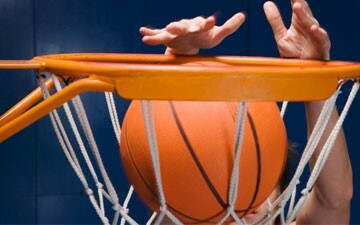 All practice sessions will be led by a professional WBA travel coach. Near season end, each program has the option to form a team to enter the CT Hoopfest tournament in Milford and compete against other local Rec teams. Check out the flyer, and follow the links to register and learn more. UPDATE -- Rec coaches announced!